Bed Toppings - kids linen made for midnight feasts! 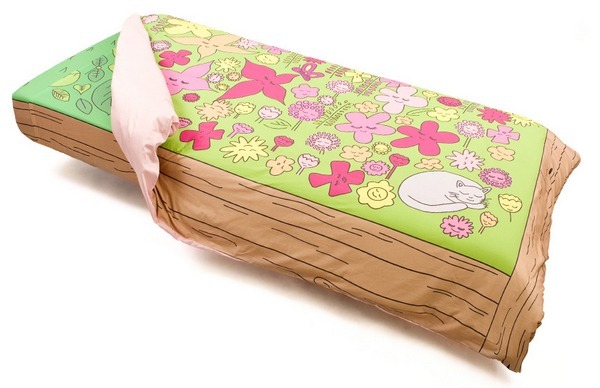 Bed Toppings – kids linen made for midnight feasts! 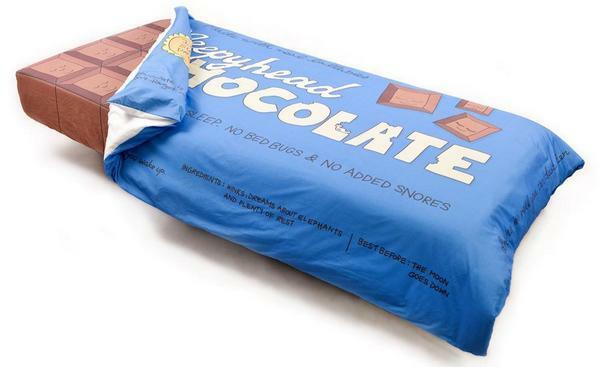 This bed linen guarantees ‘sweet’ dreams! Created by Australian designer Sophie Farquhar, the Bed Toppings linen collection is choc full of fun, if you pardon the pun. 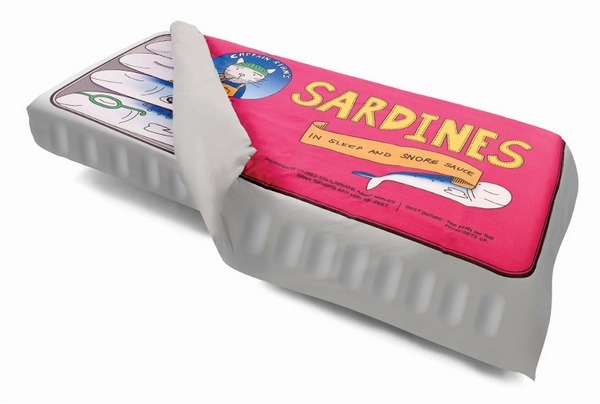 Chocolate wrapper doona covers fold down to reveal chocolate block sheets or open the sardine can doona to reveal snoozing sardines. 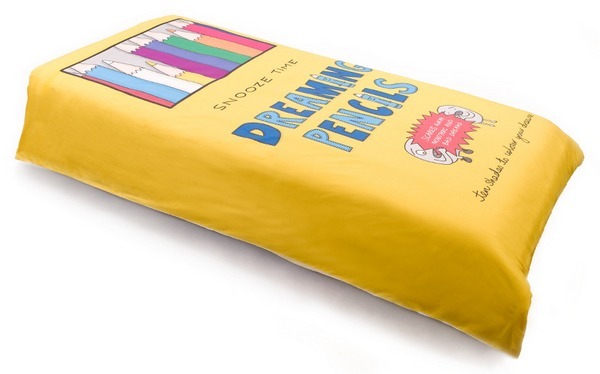 My pick is the glorious yellow box of pencils, complete with an eraser pillowcase. 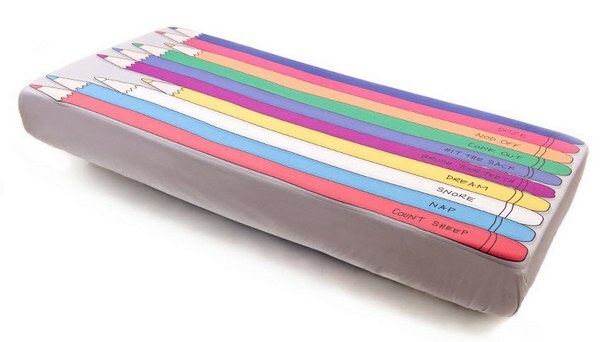 I really like the fun details such as the ingredients and ‘best before’ date on the chocolate wrapper, the ‘names’ engraved on the pencils and the sardine wearing a ‘Do Not Disturb’ eye mask. Four-piece, pure cotton linen sets (doona cover, pillowcase, a fitted and a flat sheet) are $185 and are available online.